Hi crafters! 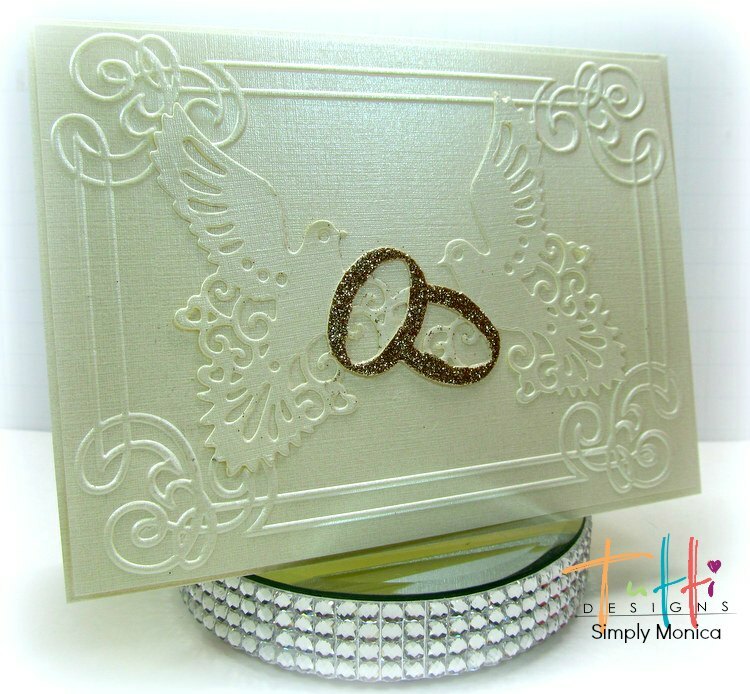 Welcome to Tutti Designs today I am here sharing Doves & Rings a new release. This release features dies perfect for a wedding, anniversary and more. I used CutCardStock pearl linen paper for the card and embossed the front. Then I used my die and fussy cut the rings in gold glitter paper. I hope everyone enjoyed my post and thanks for stopping by! Don't forget to check out all the Tutti Design links listed below! Absolutely BEAUTIFUL Monica! Thanks for wonderful inspiration using this wedding die! The gold glitter rings are beautiful! Great idea! Hi Monica what a stunning card it is so classy and yur design is wonderful.